KIRANA Feb 24 2018 12:50 am The great boy..nice boy.. hard worker..low profile boy handsome..multilalent.. U'r the best boy.. Seishin ti jibun jishin o yoku sewa suru..SETO KOUJI KUN. honeysenpai Sep 07 2015 11:15 am where's rinne no ame? Tiara Jun 08 2015 5:06 pm Hiii Koji-kun. 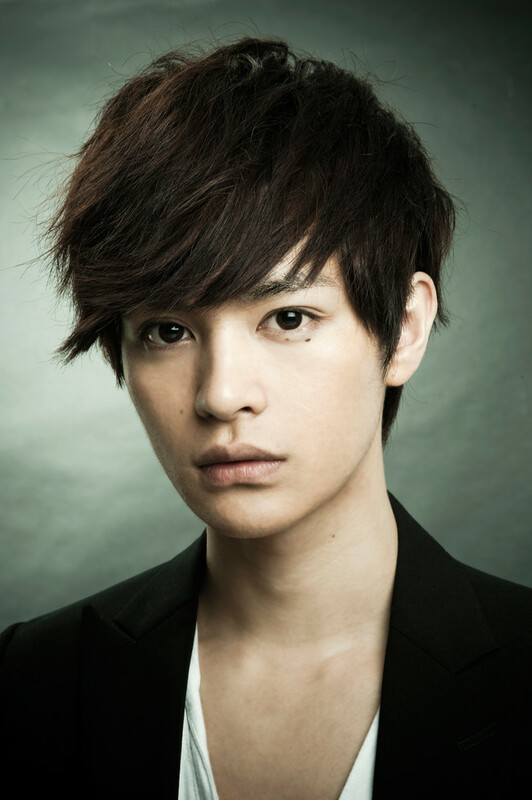 I fell in love with you when I saw you in Atashinchi no Danshi, your acting is perfectt. I'm looking forward to your next drama. Angelica Jan 06 2015 4:46 am I hope i can see you personally Koji Seto, it's just that i really like you so much. Nicole Sep 01 2014 5:13 am OMG!!!!! he's so cute!!!!!!!! Haru!!! heaven Sep 28 2013 8:13 am hi koji seto, im your no.1 fan from philippines. your so cute and i love your smile. Tsuyoshi Jan 22 2013 3:26 am eh which one is his family's name?seto or koji? Bee Dec 22 2012 11:19 pm He's a very promising actor, indeed. I'm looking forward to see more of his performance, both in singing and acting. robyne Oct 22 2012 6:46 pm he sure is a busy fella lately! i'm so glad cuz i just can't get enough of him. i hope we will get to see his work for many years to come. Ai Mar 08 2012 8:26 am Love your work <3 Bright! kucingdekil Jan 08 2012 8:28 am he looks a bit like hideaki takizawa with his mole under his eyes and his smile! sushmila Oct 12 2011 11:05 am i like ur hair and ur smile a lot. avhie _14 Aug 08 2011 3:53 am your so cute :) more movie and tv series to come :) take care ..mwua!! avhie _14 Aug 08 2011 3:52 am i really like you SETO KOJI mur movie to come. Saku-tayn Jul 20 2011 1:50 pm I'm also an actress, but I'm playing in the theater. For me inspiration are Japanese films and dramas. And Koji-kun one of the favorite actors, I'm enjoying of his playing. nurul May 15 2011 10:42 pm I have never liked an actor like me like you through the film koizora. I hope you can get a lot of movie offers! Neko-San Nov 22 2010 8:08 am YOU ARE THE CUTEST PERSON EVER TO EXIST!!!!! Anna Oct 15 2010 5:39 am Hello, Koji-san! How are you? You are a good actor. I hope you become even more roles. It's funny that my birthday is the same as yours :) 18.05.1988 Have a nice day! Anonymous May 17 2010 7:03 pm Watching the new drama TUMBLING. It's my first time seeing this actor. He kind of looks like Koike Teppei. Tsuki Apr 30 2010 2:54 pm Oh.. Its sad. Hyh. Seto-san, Its very ..This repair must be annoying when a foreign person you profess your love, fallen in love with the hero of the movie, not you. Ugh. Mey Saechao Jan 11 2010 7:52 am Hi!! I am the biggest fan!! I watched Koizora and i fell in love with the movie..i keep on watching it over and over again. It's such a good love story. I hope to see more of you in the movies!! queensemra Nov 06 2009 9:43 pm OMG OMG OMG.....He looks so good ..
evilive Jun 05 2009 11:14 am he really looks cute in Atashinchi no Danshi. and cool clothes too. Francesca May 14 2009 5:34 pm Koji, your acting in Koizora was completely amazing / beautiful. You made me and my best friend cry A LOT!! xD but that's a good think because that means you did your job very well. You are very talented, and I hope thaty I will get to see more movies or shows with you in them. I wish you the best of luck for now & for the future! !